Andy Warhol called his iconic arts community in New York City “The Factory” but there’s a red brick factory in Winsted that’s creating buzz in the art world today. Whiting Mills is the exciting arts hub on Whiting Street located from Route 44 just east of Route 8. Now it would be safe to say that in prior years, Whiting Mills would have been considered a “hidden treasure” for the nutmeg state. According to David Archambault, Director of Marketing and tenant of Whiting Mills, a common phrase used to be,”I didn’t know it was here!” but that conversation is changing quickly and Whiting Mills is set to conquer the arts/culture community’s full attention in 2015. Whiting Mills has a storied past and a bright future. Jean Paul and Eva Blanhere purchased the property in 2004 and the site served as an “incubator” for small businesses in Winsted and slowly but surely, quality artists, craftspeople found a home there. Today the site is a bustling community of more than 47 tenants (wood workers, artists, craftspeople and specialty shops) who share a common goal of excellence in art while providing their unique wares with their own individual vision. With new additions, Whiting Mills may become the largest arts community of its kind in the state. A key component to moving forward is to illuminate this bright light into the consciousness of the arts world and they’ve taken bold steps to achieve that goal. In November one strategy was the revitalization of the community’s website which has received substantial traffic since the change. In addition the location has completed the construction of 5 new studio spaces (all rented at the time of their completion) and there are more studios in the works and those will go quickly. Artists value Whiting Mills and when they set up studios, they bring their fans, their customers with them. One artist who heard the call of Whiting Mills was Jim Koplar. Jim Koplar is an exceptional artist who moved his studio from Avon to Winsted for the opportunities presented there. He appreciates the commitment and positive attitude of the community of artists. “We support each other in a collective way that benefits us all,” Koplar says. Koplar will be hosting an Art and Antiques sale in the large Laurel Room in April 11 and 12 where he will even be offering framed originals and prints of his work and many framed prints by famous artists. He is available for drawing and art classes at nights and weekends. Whiting Mills holds Open Studios throughout the year. Last Open Studio was the most heavily attended event on record so the word is getting out. Events are held in a large room at the end of the structure called “The Laurel Room. The space is often set up with tables and chairs and always boasts an interesting collection of artistic work on display that they showcase. 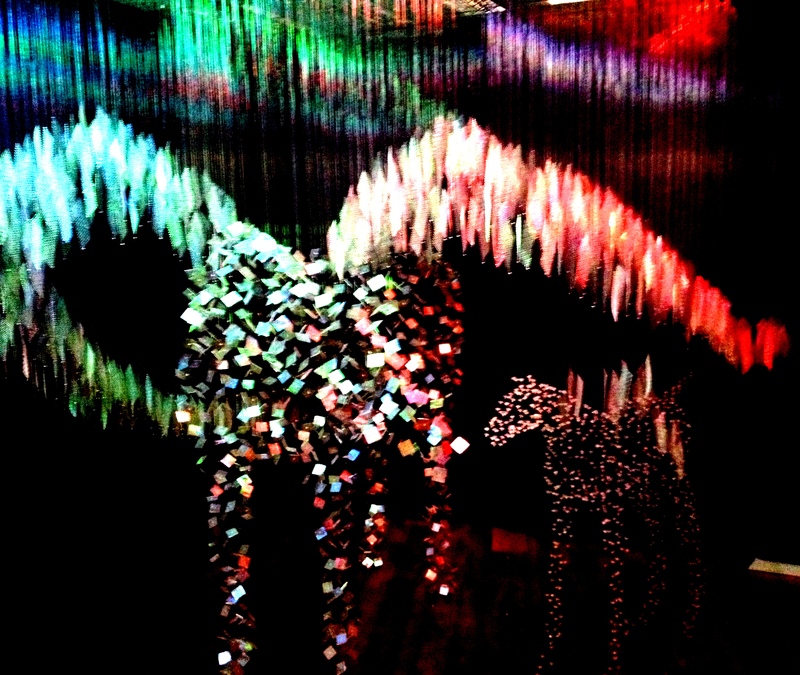 The work in the Laurel room today, nearly living sculptures of dragons, Pegasus with child and more are breathtaking. 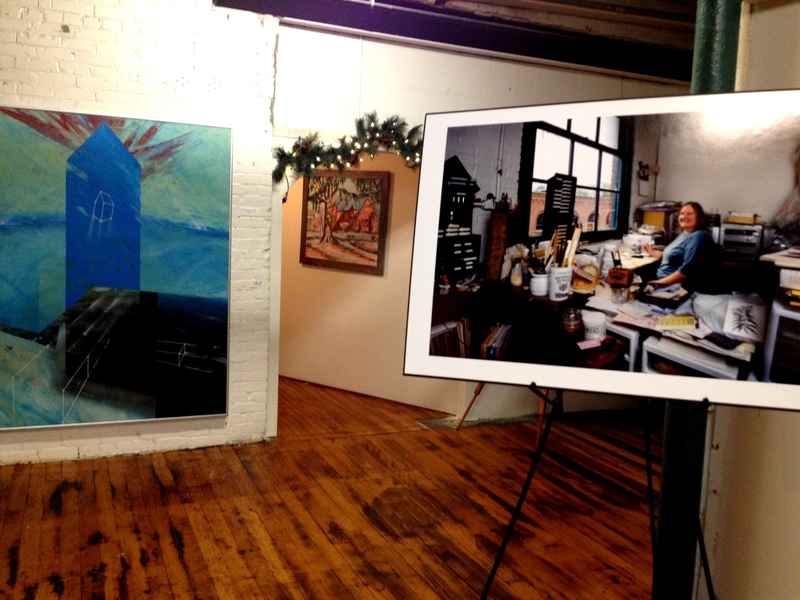 In fact the Laurel Room is a gallery, one that not just Winsted but the entire Northwest community should be proud of. Future plans include MORE events which will bring business, activity and interest to this northwest Connecticut community. For this writer, Whiting Mills is not simply a center for artist activity in Winsted, it is a Northwest Connecticut cultural attraction and one that the city could look to as an engine in the revitalization of the city at large. One tangible way the city could assist this effort would be to approve of signage on Route 44, on Route 8 and perhaps other signs at entrance points to the city. Signage befitting a cultural attraction supports the significance of the work being done, a validation of the value. There is historical significance in the location, the factory and the Laurel Room is a showcase venue (a gallery). 2015 is the time when Whiting Mills catapults to the next level. Nutmeg Chatter hopes to capture the excitement there at Whiting Mills so throughout the year, we will visit with and write profiles about the artists, photographers, painters, craftspeople in that community. Each artist deserves a spotlight and when they’re all together in one space creating art, imagine the possibilities of 2015.